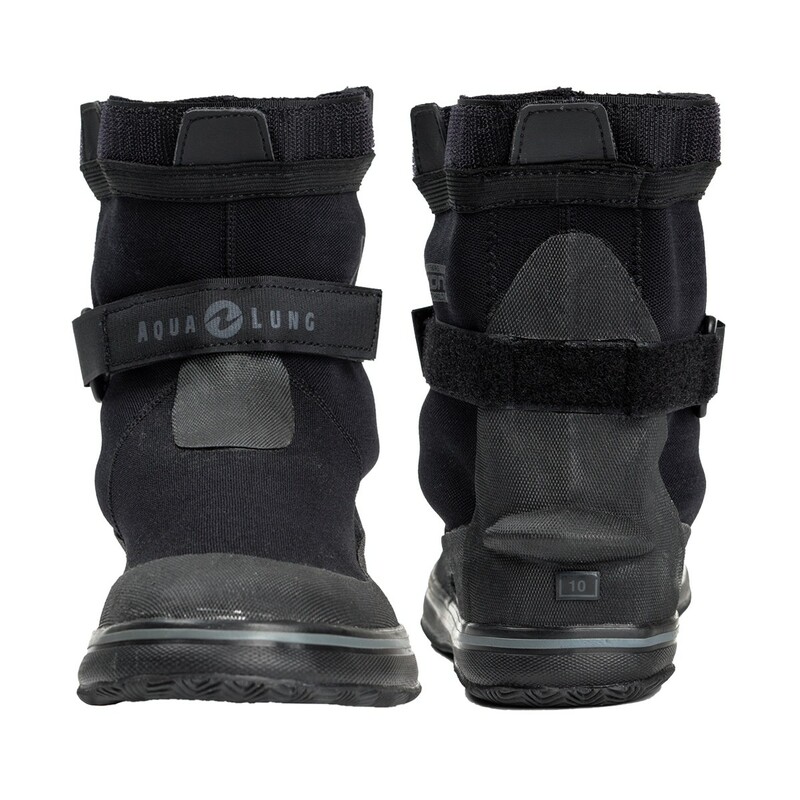 • Hook-and-loop attachment method allows for boot to be removed from drysuit leg. 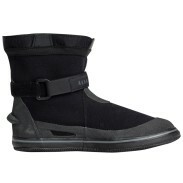 • Includes plastic insert that fits inside drysock to lock sock in boot. 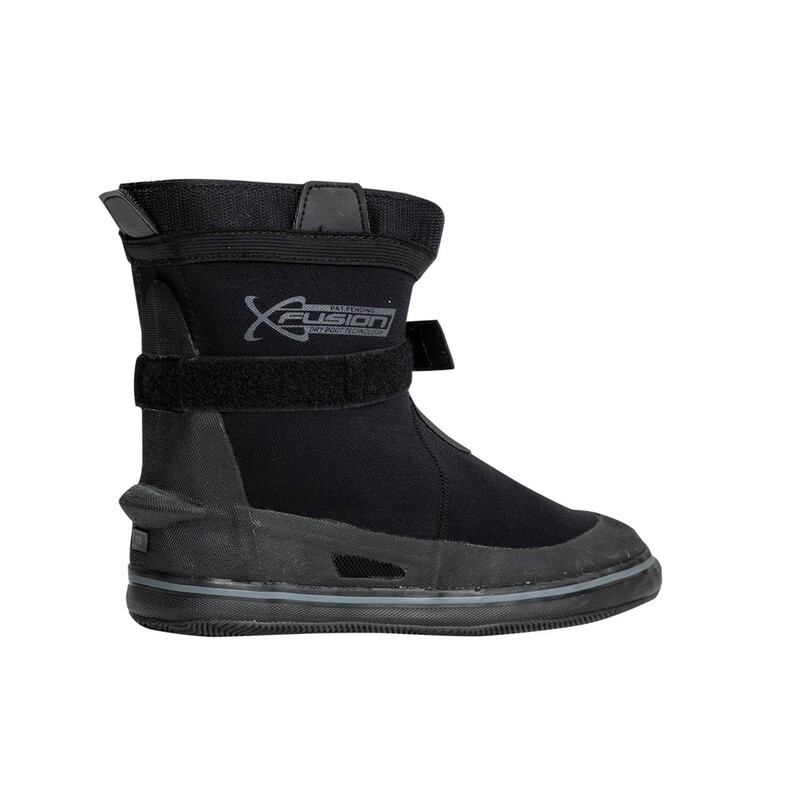 • Adjustable strap keeps boot in place throughout dive. • Fin strap stop at heel secures fin to boot. 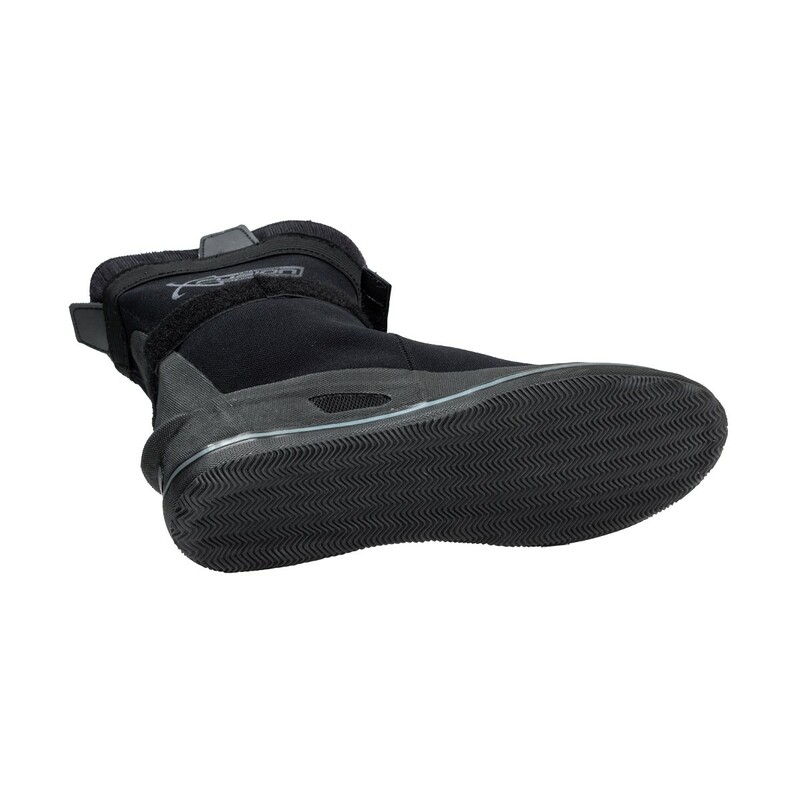 • Instep cap protects the boot from abrasion of the fin foot pocket. 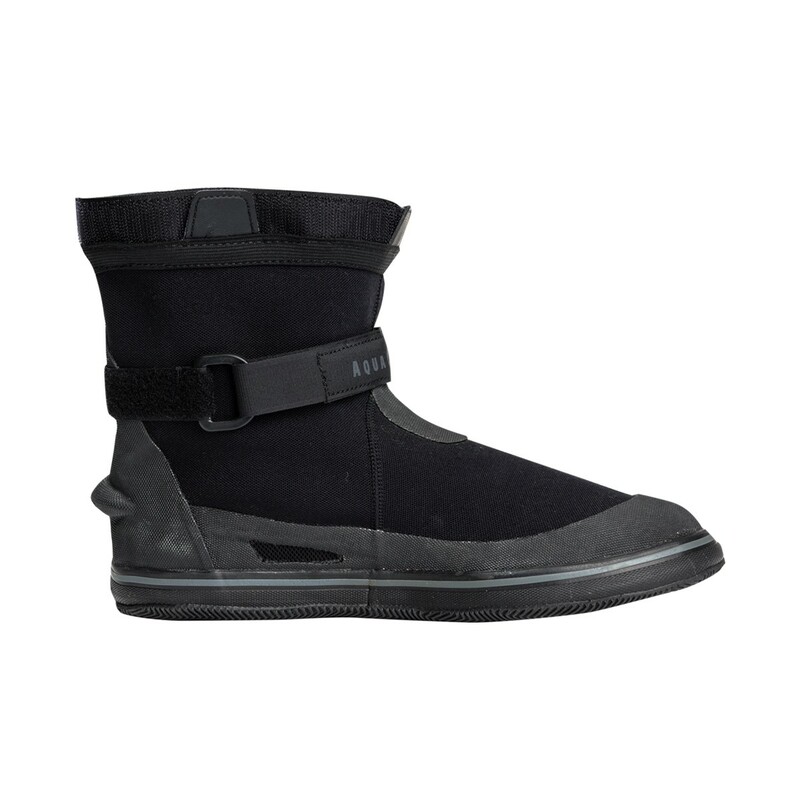 • Mesh drainage allows water to flow out, preventing sloshing when walking.